Published on February 6, 2012 January 16, 2012 by Kristina @ Family. Work. Life. Today’s recipe comes to you with apologies to anyone who might be Greek. Or who has been to Greece. Or might just like Greek food. I don’t necessarily go for authenticity when I’m doing Surviving Dinner…but I must say that I find this to be a reasonable facsimile. That’s a nice way of saying we’re not making tzatziki sauce tonight. No matter…it’s quick, easy, and my kiddo had three servings of this while my husband had two. I call it a healthy, yummy success! 1. 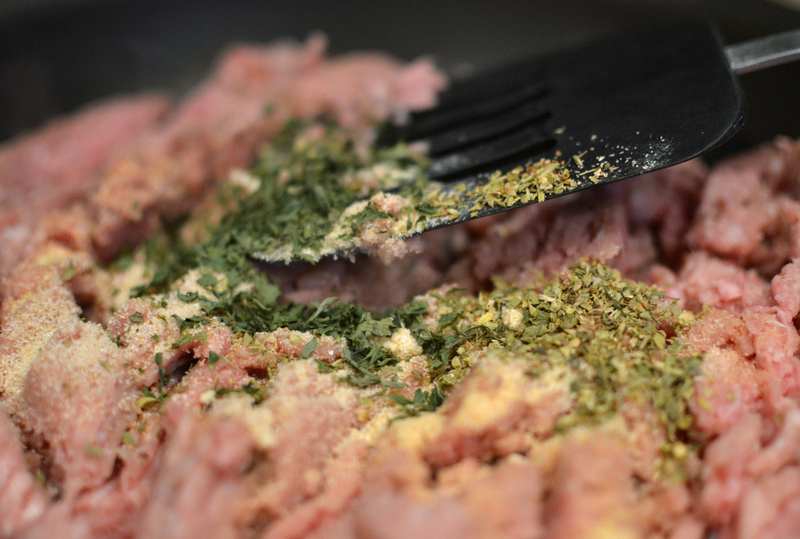 Brown the ground turkey with the seasonings. 2. 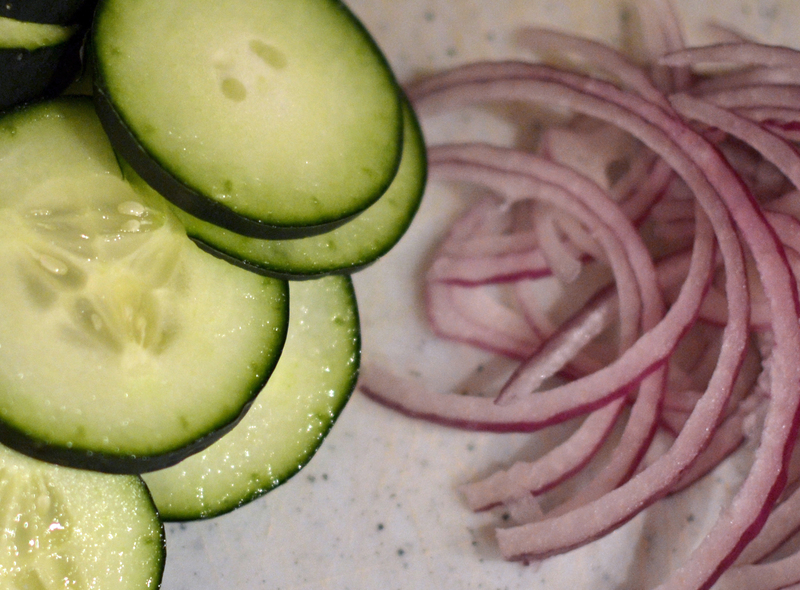 While meat is cooking, slice your veggies. 3. If desired, heat your pitas in the microwave. 4. 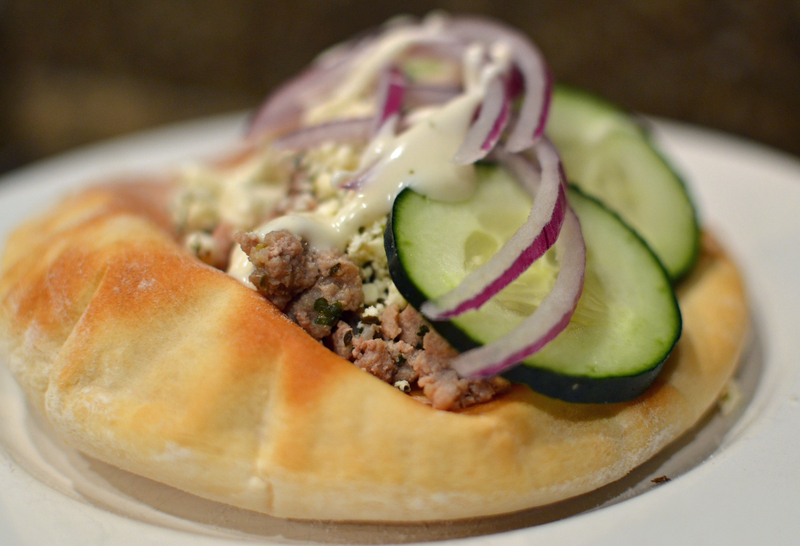 Assemble – meat, feta, red onion, and cucumbers topped with a bit of ranch dressing.